Gretsch, one of the iconic guitar brands, was founded in the US in 1883 by Friedrich Gretsch, a twenty-seven year old German immigrant, making banjos, tambourines, and drums, until his death in 1895. 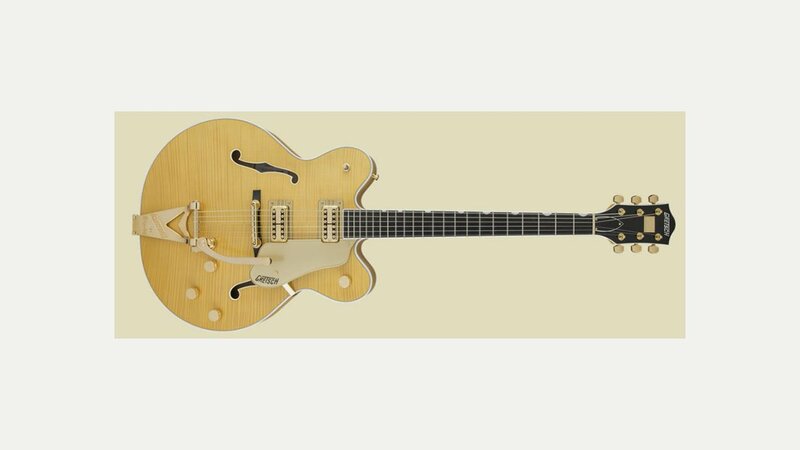 Guitar production began in the late 1930s and Gretsch archtop guitars became highly sought after, most notably in the 1950s and 1960s. In 1967 the Gretsch Company was sold to Baldwin, a music industry giant. But without the family dedication that had driven the business for so many years the company began to falter. It was revived by Fred W. Gretsch in 1989 who is great-great-grandson of the founder. In 2003 Gretsch entered into an agreement with Fender Musical Instruments Corporation (FMIC) under the terms of which Fred Gretsch III would continue to own the company, with FMIC handling most development, distribution and sales. Today Gretsch guitars are the preferred instruments of many studio musicians and recording artists looking for unique tonal quality and hand-made craftsmanship. Most modern-era Gretsch guitars are manufactured in the Far East – the Professional series guitars are made in Japan, with excellent build quality, with their lower priced ranges being made in Korea.